I will leave my village. When the firstborn child was a boy, it was the cause of great joy within the family. Special praise was heaped upon the new mother and she received presents from well-wishers. A celebration was held to mark the happy occasion. The baptism would take place 8 to 10 days after the birth of the child. It was the godmother who carried the child to the church, accompanied by the parents and relatives. Upon entering the church, the child was handed to the godfather. The priest would lower the child in the baptismal font filled with warm water infused with muron (holy oil). During the solemn religious ceremony, the name of the child would be announced. The baptism was followed by a round or feasting and merrymaking. The body would be placed on the bed in the largest room of the house. A rug is placed under the bed, which is covered in new sheets and a sparkling bedspread. Household members and close friends sit around the four walls of the room. 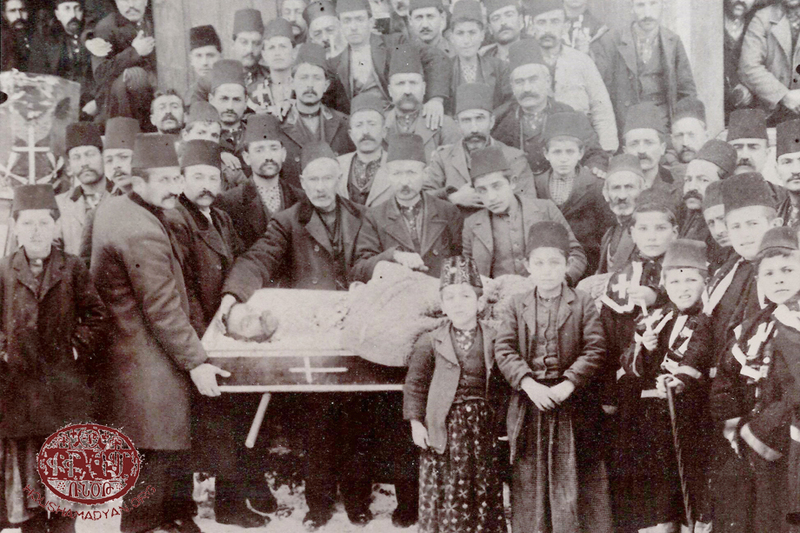 After the introduction of photography to the Yozgat area, it became the custom to take a photo of the family surrounding the deceased. 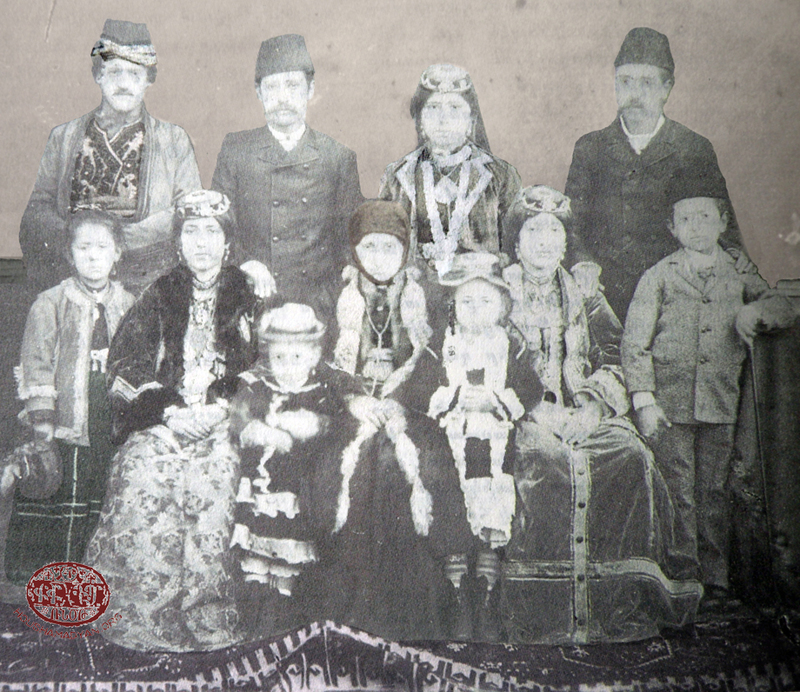 Oftentimes, the deceased was placed in a sitting position for the photograph. Women know as “funeral wailers” would often be present in the house, mourning the deceased and extolling the positive aspects of their lives. Armen Tarian, Antranig Yerganian (Editors), History of Armenian Yozgat and the surrounding (Kamirk) region [Badmakirk Yozgati yev shrchagayits (Kamkirk) hayots], published by Compatriotic Union of Yozgat and Region, Beirut, 1988, p. 124. Ibid, pp 124-126; Nuritsa M. Pilibosian, Avedis Kesdekian (A. Gabents), Vahé Haig, A Memorial to the People of Yozghad (Yozgat) [Hushartsan Yozghadtsineru (Yozgat)], Fresno, 1955, p. 85. 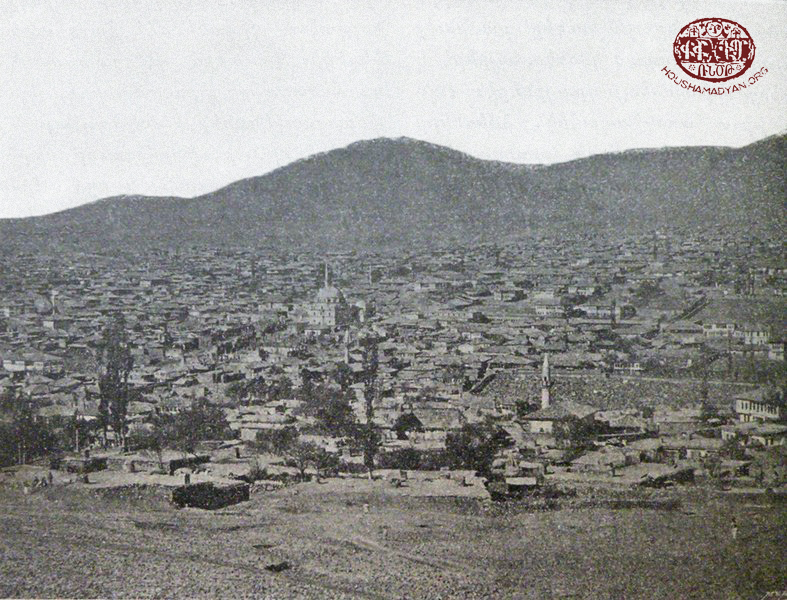 Tarian, History of Armenian Yozgat…, pp. 124-125; Pilibosian, A Memorial to the People…, p. 85. 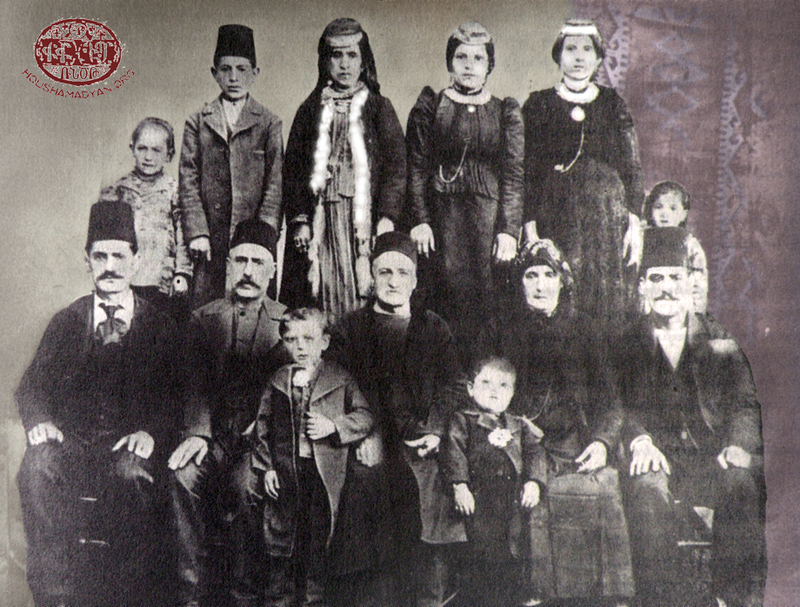 Tarian History of Armenian Yozgat…, pp. 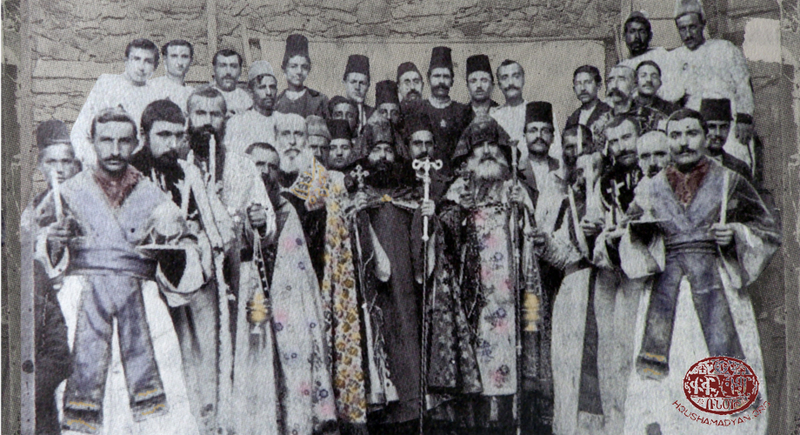 125-127; Pilibosian, A Memorial to the People…, p. 85. Tarian, History of Armenian Yozgat, p. 127, 133; Haygazun H. Yapudjian, Memorial to Rumdigin [Hishadagaran Rumdigini], published by the Rumdigin Compatriotic Union, printer Aslas, Beirut, 1967, p. 119. Yapudjian, Memorial to Rumdigin..., p. 118. Tarian, History of Armenian Yozgat…, p. 127; Yapudjian, Memorial to Rumdigin..., pp. 118-119. Yapudjian, Memorial to Rumdigin..., p. 119. Tarian, History of Armenian Yozgat..., p. 127, 133; Pilibosian, A Memorial to the People..., p. 86; Yapudjian, Memorial to Rumdigin..., pp. 118-119. Tarian, History of Armenian Yozgat..., p. 127; Yapudjian, Memorial to Rumdigin..., p. 121; Pilibosian, A Memorial to the People…, pp. 86-87. Tarian, History of Armenian Yozgat..., pp. 127-128; Yapudjian, Memorial to Rumdigin..., p. 118; Pilibosian, A Memorial to the People…, p. 87. Pilibosian, A Memorial to the People…, pp. 87-88. 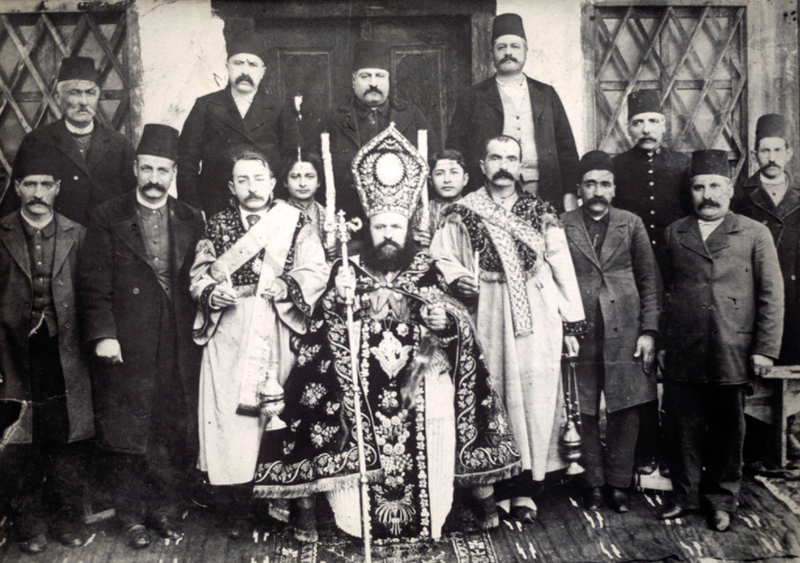 Tarian, History of Armenian Yozgat…, p. 128; Pilibosian, A Memorial to the People…, p. 88. 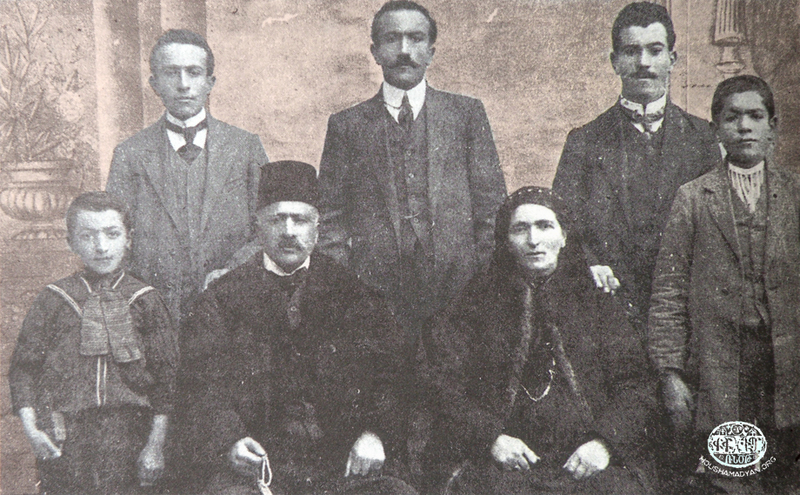 Tarian, History of Armenian Yozgat…, p. 128; Pilibosian, A Memorial to the People…, pp. 88-89. Tarian, History of Armenian Yozgat…, p. 129. 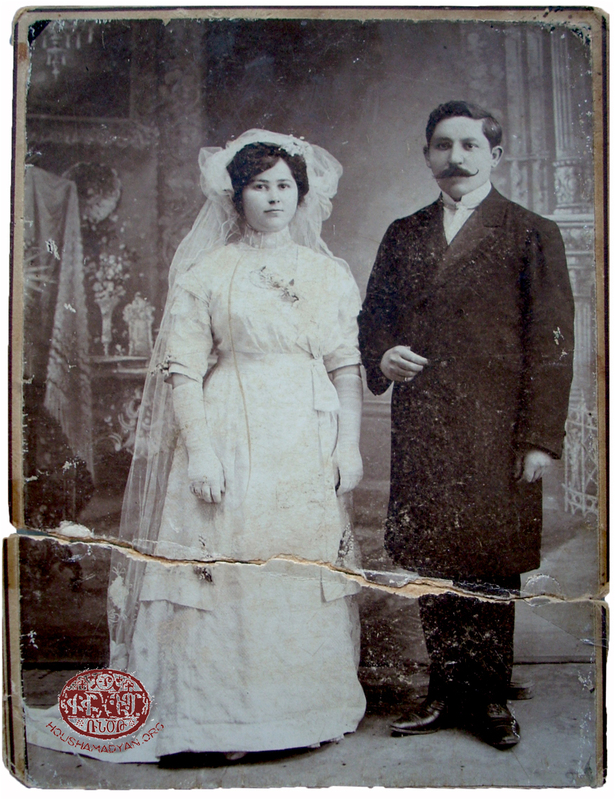 A wedding photograph of Levon Attar-Megerian (Levon Remzi) and Catherine Kalderdjian (Hourig Attarian collection). 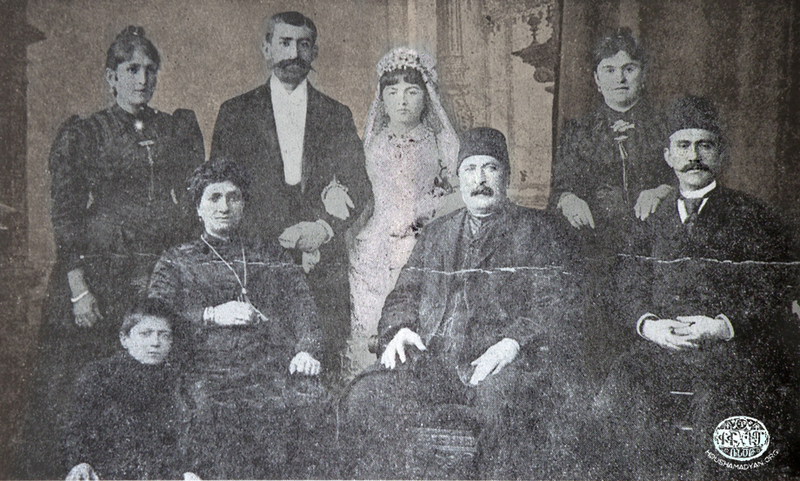 In 1878, Levon Attar-Megerian was born to a notable family in Yozgat. At 9 years old he and his family moved to Ankara. 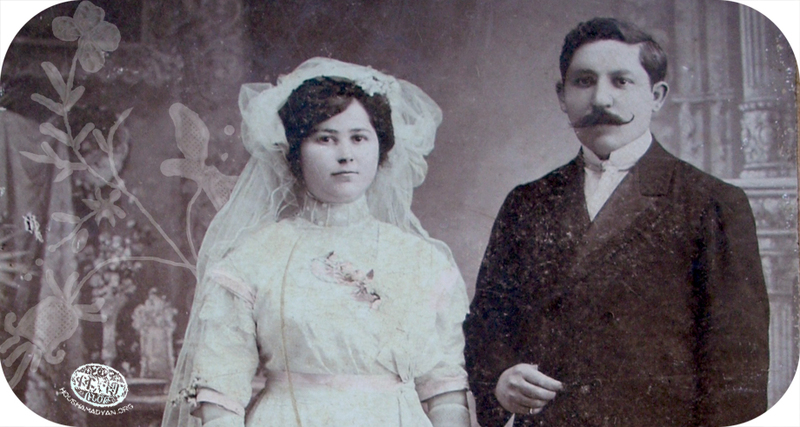 In his later years Levon became a famous lawyer and married Catherine Kalderdjian in 1912. He died in Paris in 1942.